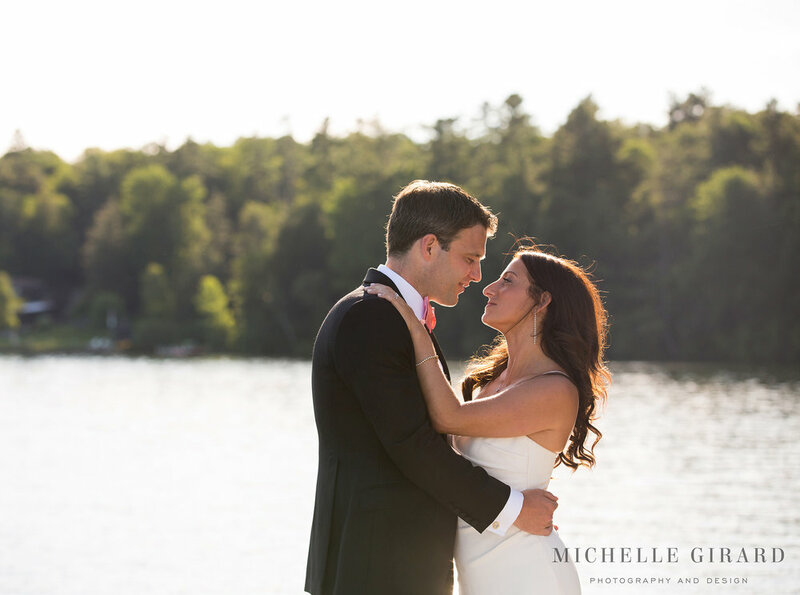 Michelle and Marc were married at their family lake house in the Berkshires this past Saturday. It's a place that has meant so much to them both. They spend time there during the Summer, even year round, most weekends. It's where they really fell in love, where they had their first grilled dinner, where they went on their first boat ride, and it's where they were able to relax together out of the busy city. It's a place with history. Before their wedding it was the backdrop to countless stories. Now it's also the place where they started their marriage and it could not have been more beautiful. 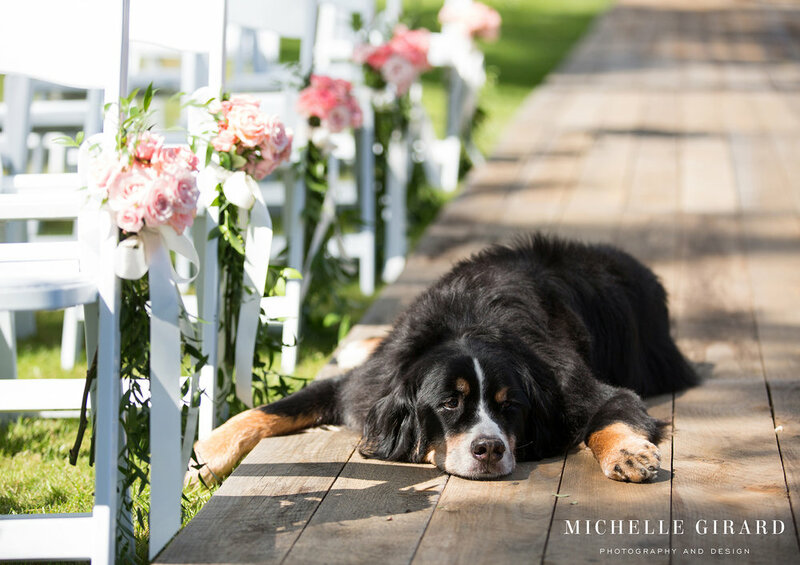 I was so happy for Michelle and Marc when the clouds broke just before their first look.. even if I might have liked that soft diffused light from those clouds! 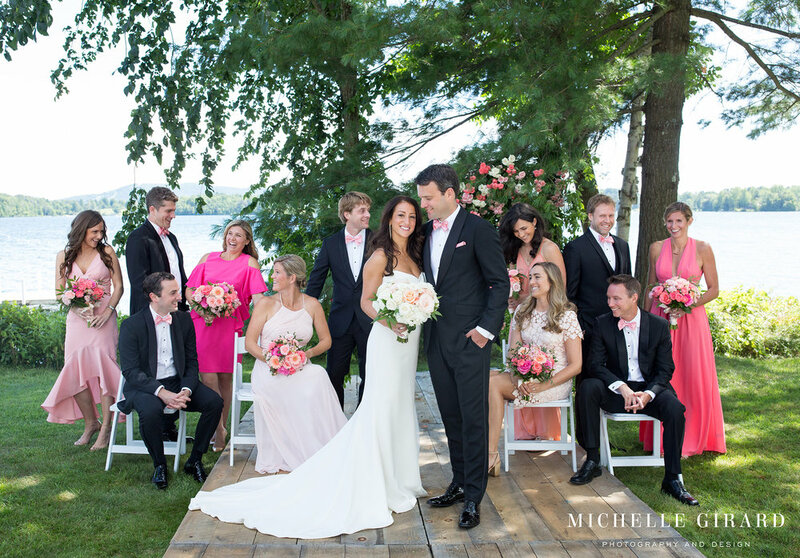 You should've seen Michelle's smile in that moment, almost as big as her smile when she finally saw Marc that day. It was contagious, you couldn't help but be happy too. To root for her. Michelle is the kind of person who so clearly cares about others. When she asks how you are, she actually wants to know about your life. She's present and thoughtful.. you should've seen the care she put into the gifts she gave her wedding party. There were so many hugs. Those really genuine, whole heart kind of hugs. She has a huge heart, a lively spirit, and an admirable drive. And when her brother touched on these qualities in his toast later that day it put words to what was obvious after only knowing her a short while. Marc's sister delivered a toast as well that evening that illustrated how loving, motivated, and attentive he is too. How good these two are together. I couldn't have been more impressed with these speeches, the whole tent was nodding, laughing and and even crying. And I couldn't be more impressed with the people these words described.